Y Foel diary – Have your cake and eat it? Is it possible to get bored with sunrises? 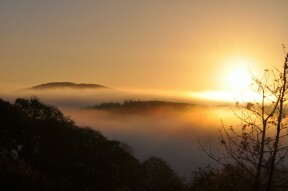 Each autumn and winter we wake up to a spectacular series of dawns. 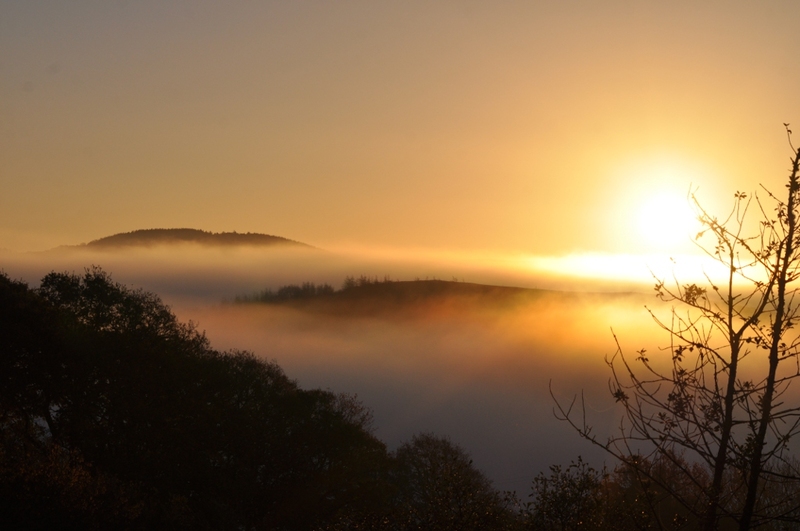 As the sun rises further towards the south east each day the point at which it appears above the Cambrian hills moves into the direct line of site from our bed. Then in late winter with easterly airflows the early morning sun can flood in through the eastern aspect of our SE corner glazing. The heat loss through the east glazing is certainly a trade-off: The gain is a panoramic connection to the landscape. As I’m completing this post we are in the middle of the March 2013 cold snap. We are into our 5th day of +/-0°C temperatures, but yesterday we used just 4.3kWh for space heating and so far today @ 11:30 we have not needed any heating (we will need a bit this evening to feel cosy though). 4 hours of sunny intervals is sufficient in the morning. This is surely having your cake and eating it?